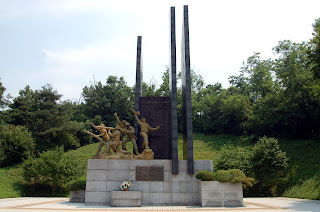 Ahead of the 61st anniversary of Task Force Smith on July 5th, I went to Osan today to visit the memorial dedicated to the US task force, which was sent from Japan to stop the North Korean juggernaut in the opening days of the Korean War. 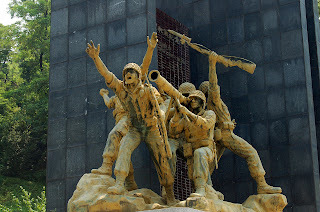 The first time I visited the memorial was on July 5, 2000 for the 50th anniversary of Task Force Smith, which I wrote about for The Korea Times. This was my first trip back. 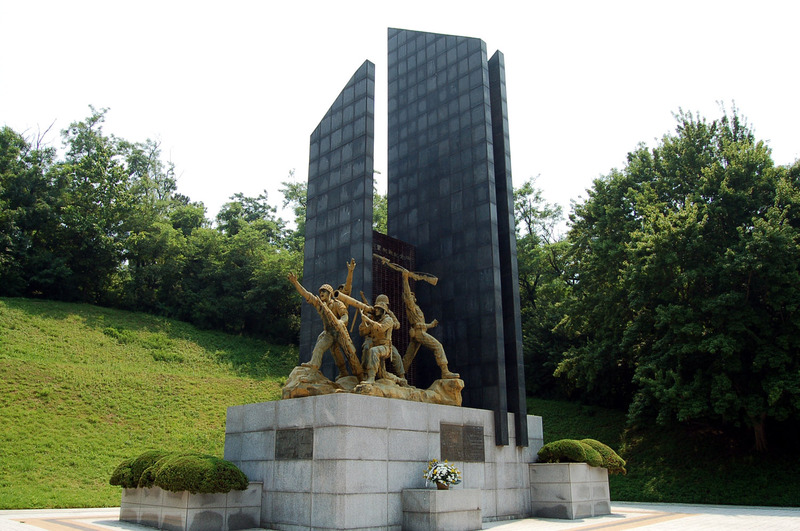 As the vicious troops of the North Korean Army crossed the 38th Parallel, U.S. troops were ready to fight to preserve freedom of world. Determined to punish the aggressors, Lt. Colonel Smith’s special task force stood on Jukmi Pass. 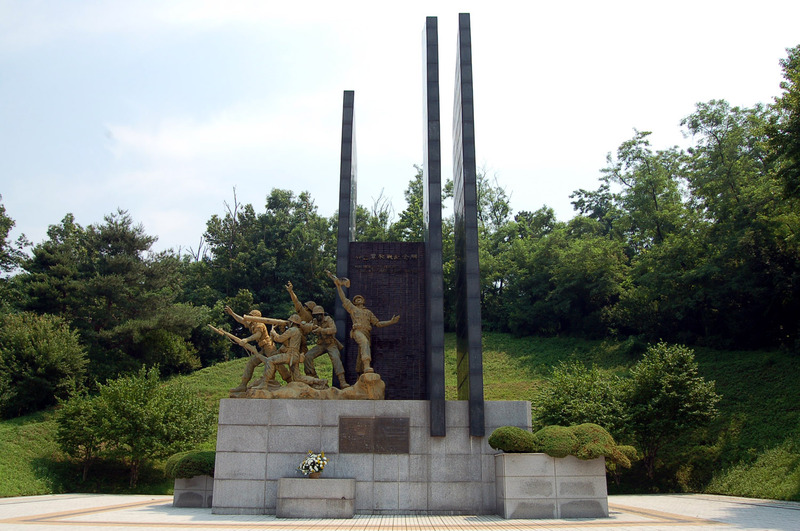 Supported by the 17th of the Republic of Korean Army, the first Korean and UN forces joint operation commenced. Blood formed a stream after over six hours of fierce struggle. Firing lines stretched as far as the Naktong River. While forlorn souls sleep on this hill, how can we forget our friendship with allied nations created in blood? Approximately 181 Americans out of the 540 men in the task force were either killed, wounded or captured during the seven hours of battle against over 20,000 North Koreans and over 30 Russian T-34 tanks. In Chapter 7 of War Remains, I write about the battle. In Chapter 9, I write about Bobby’s first time in battle, which is based on a short story about the aftermath of The Battle of Osan.